The 1.3M€ seed was lead by XAnge Capital, accompanied by Pascal Gauthier (ex COO Criteo), Hi-Pay (Hi-Media group), Fred Potter (NetAtmo), Thibaut Faurès Fustel de Coulanges (VP Rentabiliweb Group) and Alain Tingaud Innovations. Since 2013, Ledger is developping security solutions to solve the enormous problems Bitcoin users are facing: protecting their private keys. First by launching the HW1 and then by unveiling the Ledger Nano last December, Ledger has demonstrated its know-how in the field of hardware wallets. The Ledger’s team of 11 engineers and 4 supports crew, led by CTO Nicolas Bacca, boasts decades of expertise in the fields of security, cryptography, secure elements, embedded hardware and UX design. Bitcoin, and other future blockchain applications, cannot scale and achieve mass adoption without simple yet powerful solutions to secure user’s digital identities (private keys). Ledger mission is to develop and leverage its core secure operating system LedgerOS in the most diverse set of secure devices and architectures: smartcards (Ledger Nano, Ledger Proton, Ledger Blue…), Hardware Security Modules (Ledger Enterprise) and Trusted Execution Environments (Ledger Trustlet). Hardware wallets, or digital identity security systems, must be eventually perceived as a commodity. Only horizontal integration, as well as extremely low cost per user, is compatible with global mass adoption. Traditional security is based on obscurity (closed source, closed hardware). Bitcoin demonstrated a much more powerful approach based on full openness and distributed consensus. Thus, Ledger aims to bring convergence between open source and physical security. 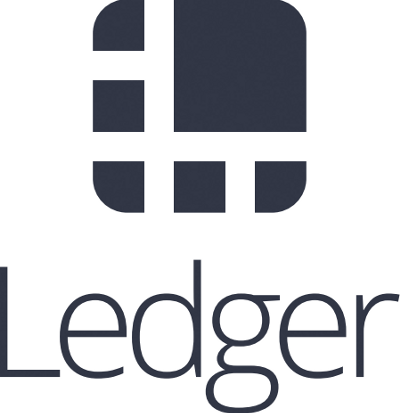 Having secured a substantial seed round, Ledger can focus on developing its product line and expanding its worldwide presence. By opening its US subsidiary, Ledger Technology Inc., and opening offices in San Francisco, Ledger sets a strong foot in the Silicon Valley. Expect us to be present in all major startups events to raise awareness about our solutions and vision! Improving the Ledger Wallet experience, with a new second factor, Android and iOS companion apps and a lot of features to leverage the power of HD wallet technology. Finalizing the Ledger Blue, to target availability in Q4 2015. The Blue is a secure element based harware wallet integrating a display and a keyboard. Enterprise solutions based on hardware security modules are planned for 2016. Acting like a Nano on steroids, Ledger’s HSM solutions will be able to control, secure and sign hundreds of transactions per seconds for exchanges, wallet APIs and enterprise payments applications. By capitalizing on its expertise and advanced technology in the field, Ledger aims to become the world leader in securing the digital identities of tomorrow.